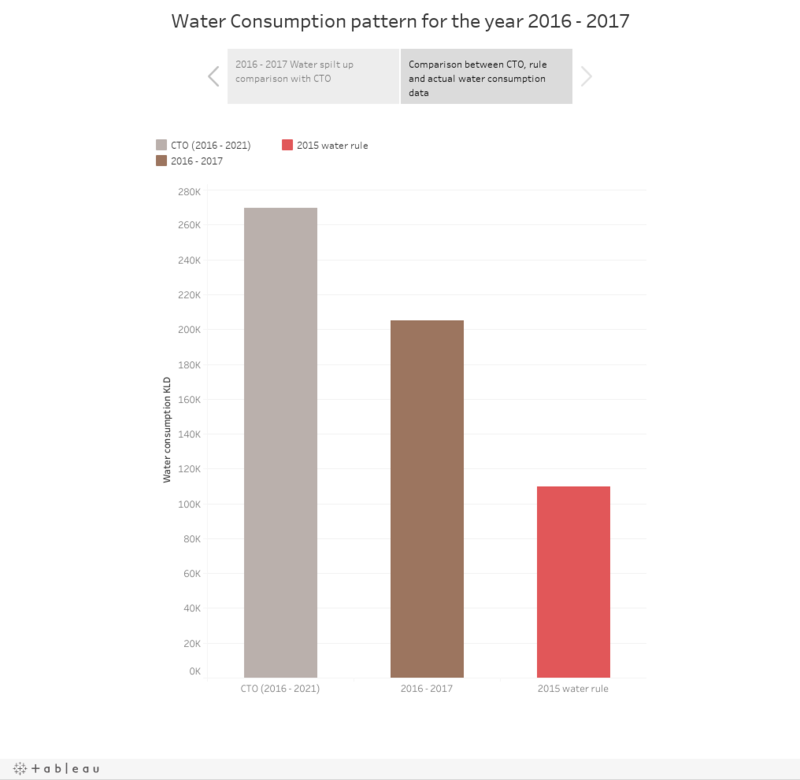 2016 -2017 water split up graph shows water consumed by the plant as Cooling water, Process water, and Domestic water. Each data is compared with their respective water consumption data given in the Consent to Operate (CTO) of the plant. In all the three graphs, water consumed is way lower than the assigned quantity under CTO. Graph under "Comparison between CTO, rule and actual water consumption data" clearly shows the excess water permit given by the authorities under CTO. If the deciding authority doesn't follow the rules framed by MoEF & CC, then how do we expect compliance from thermal power plants. ?